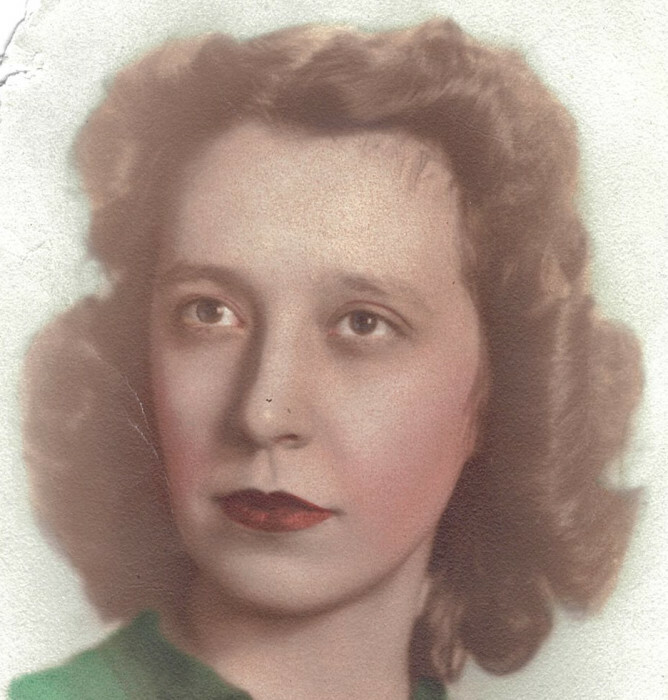 Annabelle Ohlmansiek, 93, of Greensburg, formerly of Dillsboro, passed away Thursday, August 16, 2018 at CrownPointe Senior Living Community in Greensburg. Annabelle was born Saturday, June 26, 1926 in Lawrenceburg, IN the daughter of Alvin and Hattie (Olds) Martin. She was baptized July 1, 1926 at First Baptist Church, Lawrenceburg and confirmed on May 13, 1956 at St. John’s Lutheran Church, Farmers Retreat. She married Albert Ohlmansiek October 8, 1955 and he preceded her in death October 7, 2007. Annabelle worked in the accounting department at I&M, was a homemaker and a member of Trinity Lutheran Church at Dillsboro. She enjoyed taking care of family and helping on the farm, sewing, crafts, gardening and humming birds. Annabelle is survived by her daughters: Becky (Steve) Starek of Carmel, IN and Marsha Ohlmansiek of Greensburg, half-sister Gail Berry, 2 step-grandsons: Jon and Greg Starek. She was preceded in death by her husband, parents and brother: Benjamin Martin. Funeral services will be held at 10 a.m. Monday, August 20, 2018 at Trinity Lutheran Church, 9901 Central Ave., Dillsboro, IN 47018 with the Rev. Richard Kolaskey officiating. Burial will follow at Oakdale Cemetery at Dillsboro. Visitation will be 1 - 3 p.m. Sunday, August 19, 2018 at Filter-DeVries-Moore Funeral Home. Memorials may be given in Annabelle’s honor to Susan Comer Breast Foundation or Alzheimer’s Association. Filter-DeVries-Moore Funeral Home of Dillsboro entrusted with arrangements; 12887 Lenover Street, Box 146, Dillsboro, IN 47018, (812)432-5480. You may go to filterdevriesmoorefuneralhome to leave an online condolence message for the family.